Time for the final two coats of Epoxy on the hull. 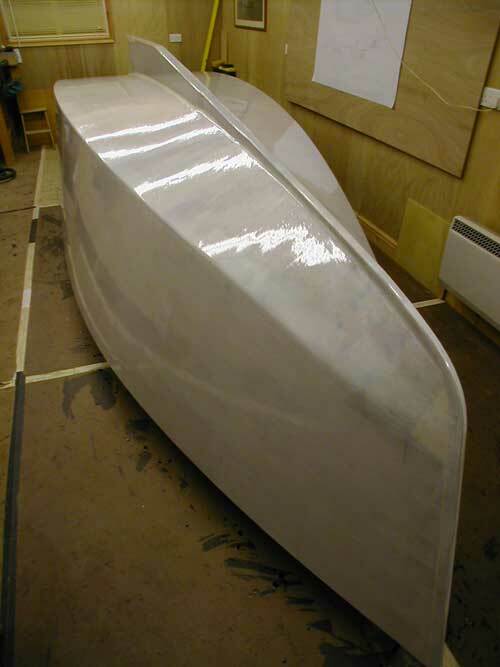 I decided to pigment the epoxy white to provide a good undercoat surface, using West system 501 pigment. It was all looking great while the product was still in the tin. Apparently painting and coating is all about surface tension. Here's a nice article about it for those of a technical disposition; Surface Tension. I did have plenty of warning. Back in August I had a few instances of fisheye (moon like craters in the epoxy finish) when I coated the cratch cover frame for the narrow boat. At the time I put this down to the stain I had used. 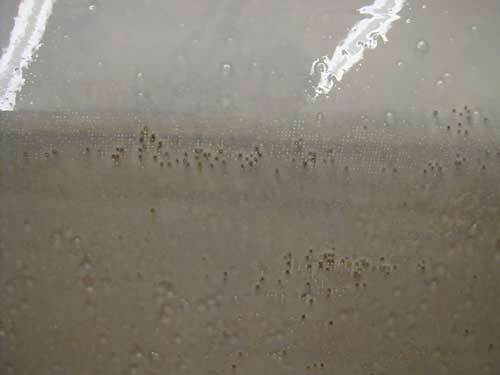 It appears to me that this low viscosity epoxy is very prone to fish eye. Adding a pigment then exacerbates the issue. I've never seen a mix of epoxy run off the sides of the mixing cup like this did. But I pressed on. And this is the result. Nice from far but far from nice. Not too bad on the horizontal surfaces but a total disaster on the vertical ones. So I'm back to square one but a lot the wiser. David's advice (Shoe String Slipper) to use a foam roller rather than a brush or slick to apply the epoxy, worked a treat. The only information I can find on the web advises using a plastic slick to squidge the fisheye out. I did try this at the time and it doesn't work. The best solution is to keep rolling it, until having gelled it starts to destroy the foam roller. So back to more sanding and then I'll try filling the fisheye craters before having another attempt at coating.